Daniel Ricciardo during his scorching run at Barcelona. RED Bull suspect Mercedes still have a slight pace advantage despite setting the fastest time of winter testing so far on Day Two of the second and final test. 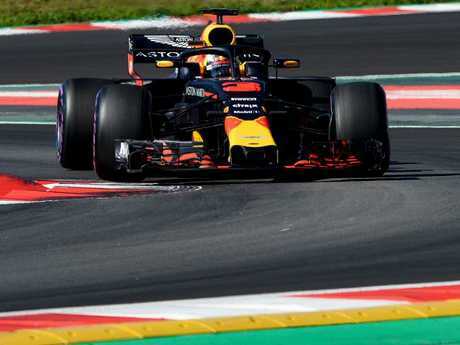 Ricciardo, running on the new-for-2018 hypersoft tyres, set a new unofficial track record of 1:18.047 at the Circuit de Catalunya to edge out Lewis Hamilton at the top of the charts by over three tenths of a second. Hamilton, however, set his quickest time on the ultrasoft compound. "I'm sure Mercedes are still the top dogs at the moment but I don't feel we are far off," said Ricciardo. "If we can keep finding a few more things we can be very good." Ferrari only set their best time on Wednesday on the soft tyres - three "steps" below the hypersofts - but the sense that F1 could be braced for a three-way fight in 2018 between Mercedes, Red Bull and the Scuderia is gathering strength in the paddock. Daniel Ricciardo after his impressive testing run. "We will find out in Melbourne but while I think Mercedes still have a bit on us I don't think it's too much," added Ricciardo. "We seem to be close. Ferrari, l would guess, are close too. I think we are similar to them." Ricciardo also reported that the RB14 was responding well to set-up changes, with trackside observers suggesting the car looks well balanced on track. "Mercedes seem to be quickest at the moment - if they used the hypersofts l think they would be a few tenths up the road," said the Australian. "If they are, we can definitely find that quite soon and don't let them win five in a row!" 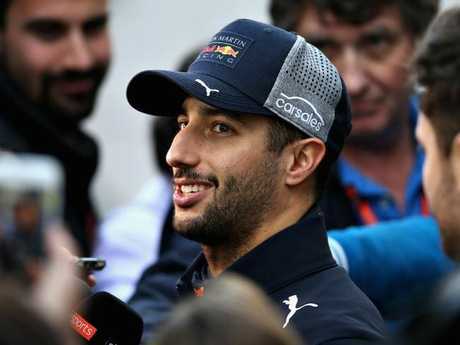 Ricciardo was forced to sit out his scheduled run in the Red Bull on Day One "because I was feeling pretty terrible" but completed 165 laps on Wednesday - the most of any driver. Daniel Ricciardo puts the Red Bull car to the test. Coming off four consecutive double world championships, Mercedes are certainly the team to beat in F1 2018. But after Red Bull assertively laid down their winter marker, the Silver Arrows aren't so sure they have the edge as they await their closest title battle. 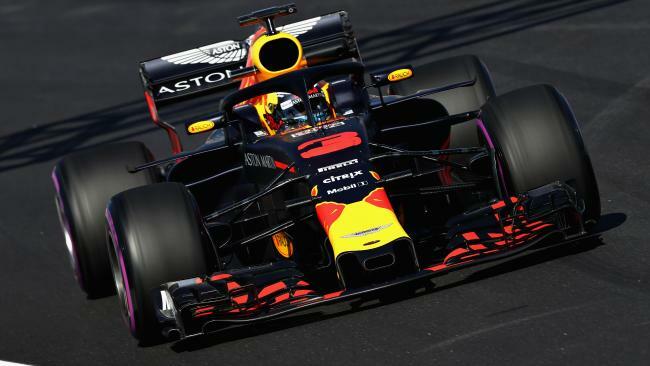 "Red Bull are going to be one of the teams we're going to be fighting with this year - there's clearly no doubt about that," Mercedes technical chief James Allison told Sky Sports News. "Even now with just two days left there's still some blurriness so it's still not possible to say we've got our nose ahead of them, or they've got their nose ahead of us. But you can say it's close." Allison, too, felt there was more to come from a team so used to heavily upgrading their car as the campaign progresses. Will Red Bull be even stronger come the season-opening Australian GP? "I don't know what their engine plans are but looking at what they've brought here I'd say they've still got some bodywork to bolt on for Melbourne," Allison added. 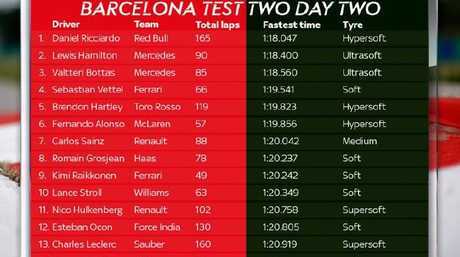 Barcelona Test 2, Day 2 timesheet. Will Red Bull finally grant Ricciardo’s wish?